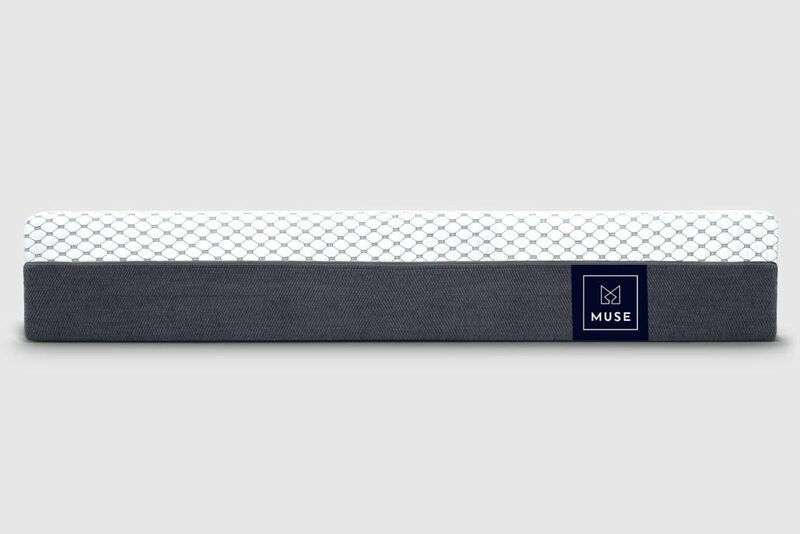 MUSE is an all foam mattress. MUSE packs a punch for the price. It is a total of 12″ thick with pressure relieving gel memory foam. UPDATE: MUSE is no made in the USA! MUSE is an all foam mattress. MUSE packs a punch for the price. It is a total of 12″ thick with pressure relieving gel memory foam. It’s also offered in firm, medium and soft. So whatever your sleeping position MUSE has something for everyone. See the full MUSE review below. Want a good value – MUSE utilizes the direct to consumer model so you can save some money there! In addition, its thicker than many of the online offerings with more premium foams for less money. Like to sleep cool – The phase cooling cover and gel infused memory foam did not get excessively hot for us at all. Kayla is typically always cold so heat was not an issue for her either. 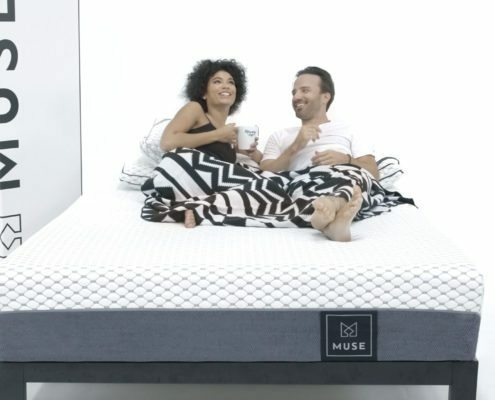 Are worried about bottoming out – MUSE is a 12″ thick mattress with quality foams. On some thinner mattresses if you are over 250lbs you can tend to bottom out somewhat easily. MUSE has no issues with that at all. 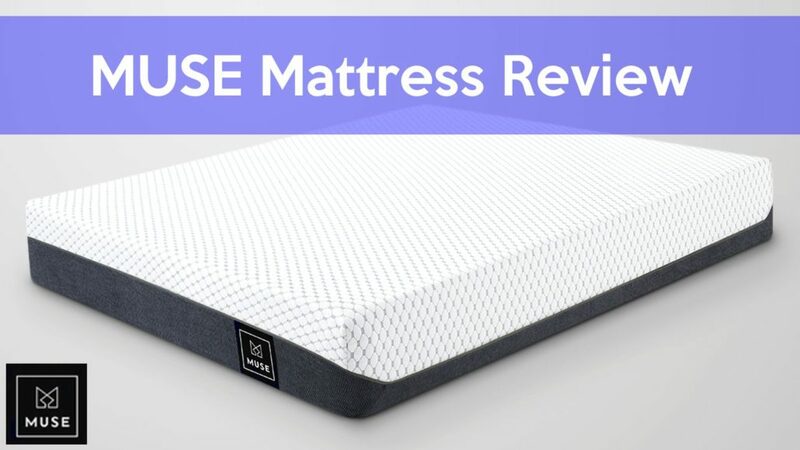 Are looking for a mattress to fit all sleeping positions – MUSE offers a triple choice so no matter your sleeping position they have you covered. Are looking for great pressure relief – MUSE with 4″ of premium gel and memory foam it has great pressure relief for your joints. 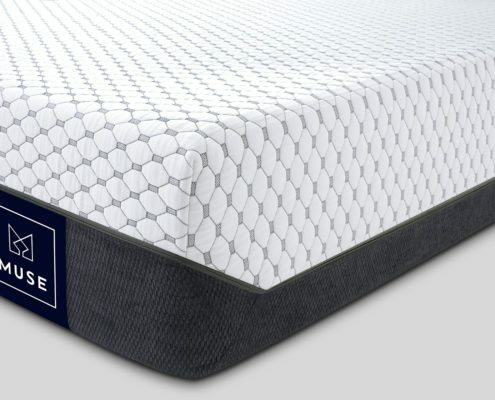 Want a lot of bounce – MUSE has a true memory foam feel and has less bounce than a latex or innerspring mattress. However, its still easy to adjust positions and I am 190lbs and didn’t have a stuck feeling at all. 2″ layer of 3.5 lbs. density gel-infused memory foam cradles you while keeping you cool. 2″ layer of 4 lbs. 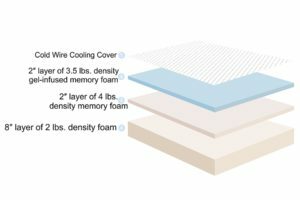 density memory foam creates a durable, adaptable, and comfortable layer that’s delivered in three levels of firmness. 8″ layer of 2 lbs. density foam creates a high-quality, sturdy foundation that provides an even level of support for the mattress. A phase-changing cooling fabric called Cold Wire Plus that keeps you cool and comfortable throughout the night. Its unique temperature absorbing properties help to moderate overheating for those that are prone to sleeping hot. MUSE will work great on any solid surface. A wood foundation, boxspring, slats, the floor and will work great on an adjustable base. We had a good experience on the MUSE. I was really impressed with the overall quality for how much it costs. It has 4″ of premium comfort foams and comes in at 12″ thick with a good dense core. All of that paired with the price, this is one of the best gel memory foam options out there in my opinion. 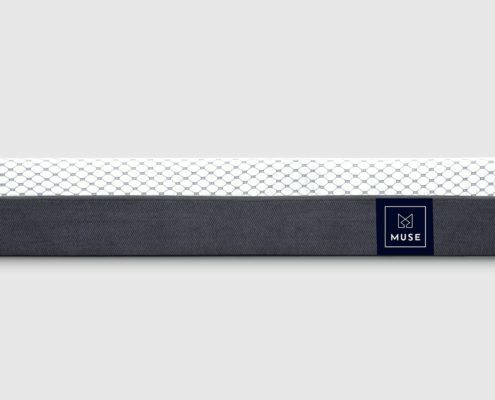 The MUSE Mattress impressed me for the following reasons. A.) To me the overall build and quality was above average. Especially for the price. B.) The top comfort layer really didn’t get hot and the cool wire cover was cool to the touch and stayed cool for us. C.) They are not trying to ram into your brain that “one mattress fits all” therefore, they offer 3 firmness’s so you can pick what works best for you based on your sleeping positions. MUSE uses a phase-changing cooling fabric called Cold Wire Plus that helps keep you cool. 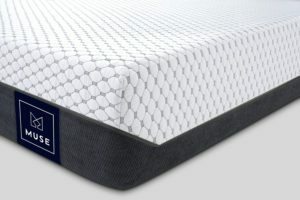 They also use a gel infused memory foam on the top layer which stays cooler than a traditional memory foam. We didn’t have any issues with getting overheated. We slept on a king and don’t have a base for king. 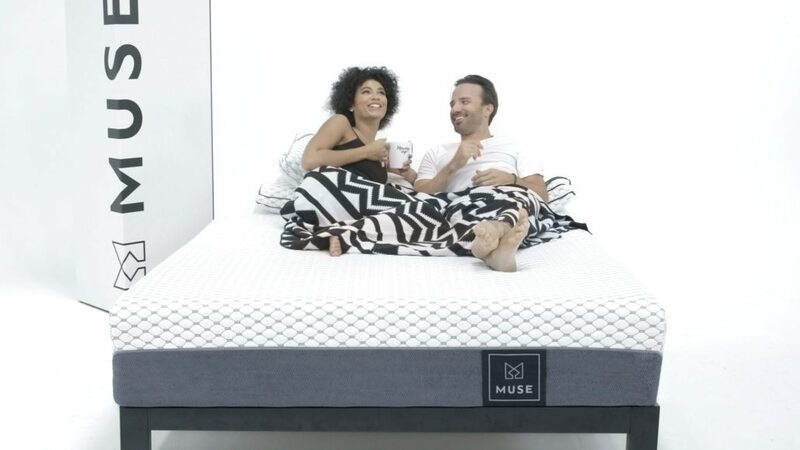 But, MUSE being an all foam mattress it will perform great on an adjustable base. Take $100 OFF any size with our link. Discounts – Use our link above & code INSIDERS100 to receive $100 OFF when checking out. The story of ViscoSoft is not a business story—it’s about people. Three people (Gabe, Matthieu and Rick) to be exact, from different parts of the world, who saw an opportunity to do something special, something that could reach beyond borders, and even their own expectations. As a world-traveler and young entrepreneur, Gabe’s adventurous mind led him from the streets of France as a teenager to the campus of Chapel Hill as a student to the bourgeoning cities of Asia as an adult. 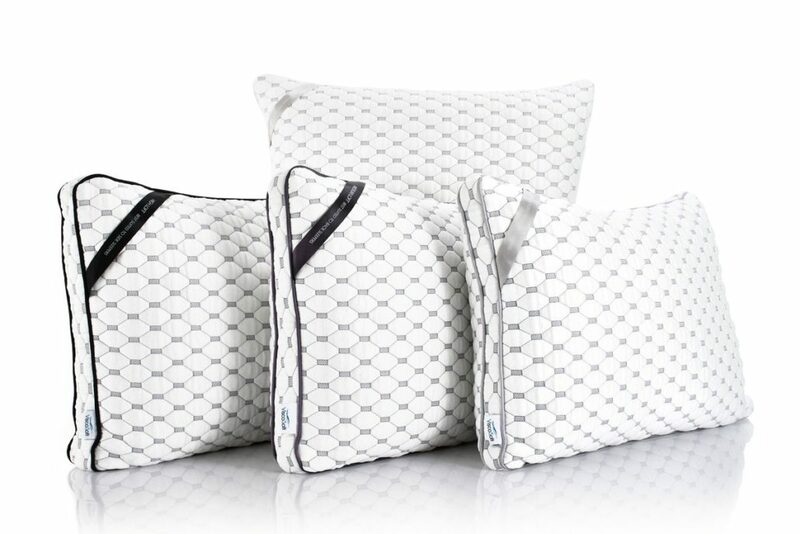 During his travels, Gabe met Matthieu, a pioneer in global marketing, and Rick, a forward-thinking manufacturer, and it was in these early conversations that the dream of creating a better, more personal sleep solution was born. Gabe, Matthieu, and Rick agreed consumers deserve the best in innovation and that the limits of innovation should not be drawn by boundaries on a map. 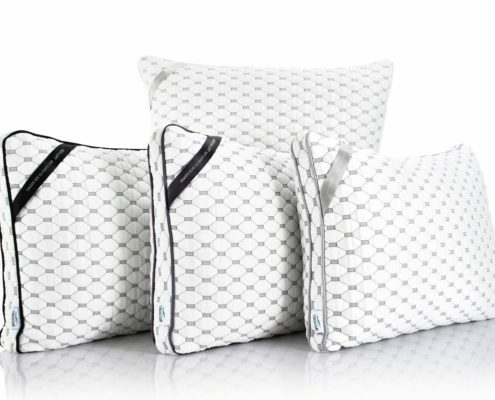 The team wanted to make sleep products that respected the diversity of the modern world, respected the materials and process, and, above all, respected the consumer. The result? 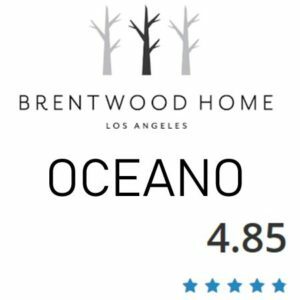 A line of sophisticated sleep solutions designed to fit your needs whether you want to sleep cool in Miami or get cozy in Seattle. Today, with offices in Charlotte, Shanghai, and Strasbourg, the ViscoSoft family works across borders, languages, and time zones to produce quality sleep solutions for all. At the heart of our global presence remains an essential truth—sleep is personal. Is there really one perfect product out there for everyone? We don’t think so. By choosing the right mattress and pillow, you’re investing in a custom sleep solution that’s right for you. And if anyone asks why we do it, the answer is personal too. We work hard because we understand that the bedroom is more than four walls. It’s the reward for a long day’s work. The fortress for our children. The playground for our pets. The sanctuary for our dreams. We had a good experience on the MUSE. I was really impressed with the overall quality for how much it costs. It has 4″ of premium comfort foams and comes in at 12″ thick with a good dense core. 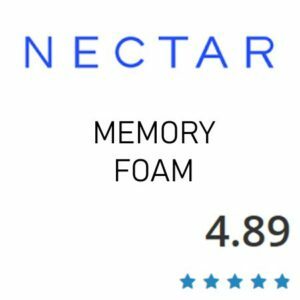 All of that paired with the price, this is one of the best gel memory foam options out there that we have tested in my opinion. 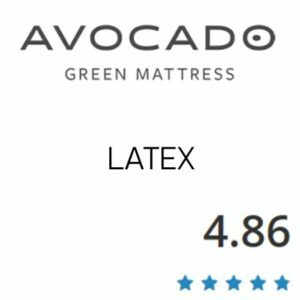 I recommend this to anyone looking for a gel memory foam mattress. I believe it is thick enough and built well enough for all body weights. You can pick your firmness level, so it will allow you to pick what ever works for how you sleep. MUSE is above average build, feel and quality for the price they have on it. “Thank you! Thank you! Keep up the good work and thanks for all of the suggestions, you really helped us narrow it down."